Under Current Databases, locate the database you wish to remove a user from. Locate the specific user that you want to remove and then click the Delete icon. 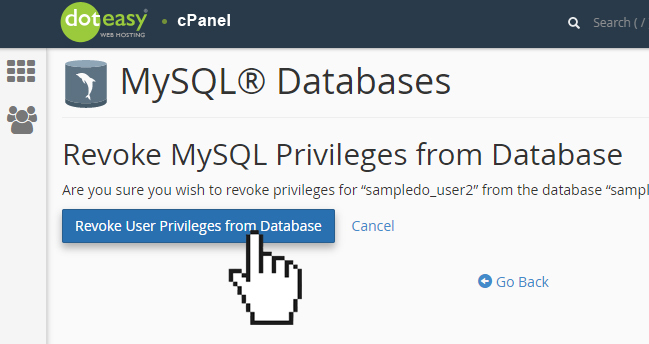 Click Revoke User Privileges from Database to confirm the removal. NOTE: This process only removes the user from the database. If you want to delete the user from the system altogether, you will need to delete the user.